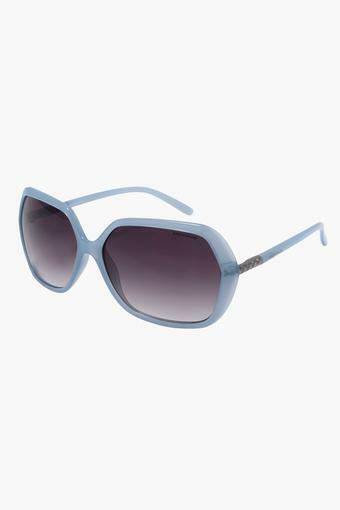 These oversized sunglasses from Provogue imparts a sense of class and style quotient at the very same time. These are perfectly designed to keep you trendy and cool and goes with any attire as well. These full rim sunglasses have polarized lenses with lens width of 57mm and the frame are made of high quality plastic. These one are must-have item to add in the collection of your accessories. A contemporary take on a classic design, this pair of sunglasses from Provogue will be a fine choice for all the fashionable women of today. Club these with a beautiful dress to make a fashion statement.